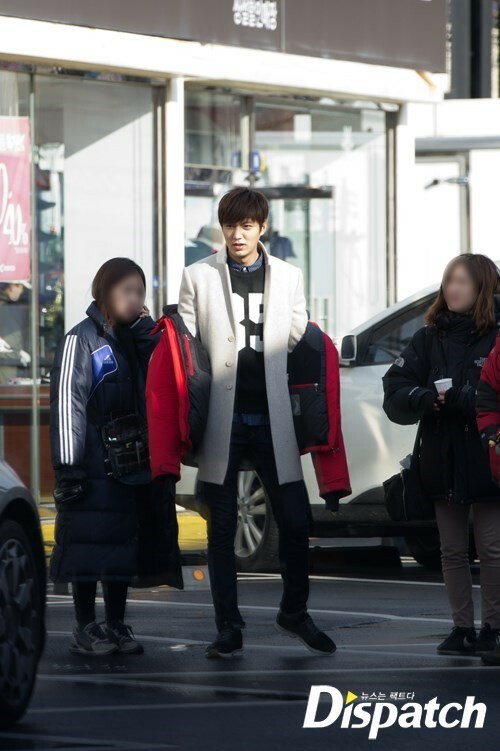 Lee Min Ho is not only the most popular guy in school on ‘Heirs‘ but in real life he has hundreds of fans following his every move on set! His agency Starhuas Entertainment released behind-the-scenes photos of Lee Min Ho being surrounded by an enormous crowd of fans who waited in the cold weather to catch a glimpse of him. Things weren’t looking so good for Kim Tan (Lee Min Ho) and Cha Eun Sang (Park Shin Hye) this week, so let’s hope for a happy conclusion. His legs are long enough to require over three times of mouse scrolling. His legs are endlessly long. He looks gorgeous even when he is in a padded jacked placed roughly on his body. He shows tempting eyes as well. That is probably why many people are ‘Tan-sick’ these days. Today, ‘Dispatch’ will be ‘Tan-sick’ openly. Do not force a neutral view to us. We are already in love with him. 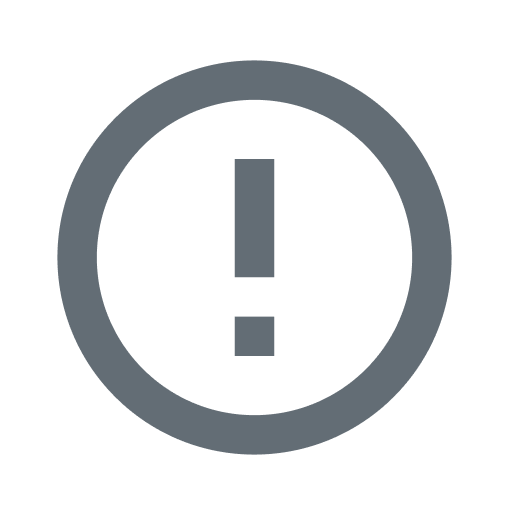 If you are not yet addicted, please check the following texts and photos thoroughly. This is Lee Min-ho, who is captivating TV viewers these days. 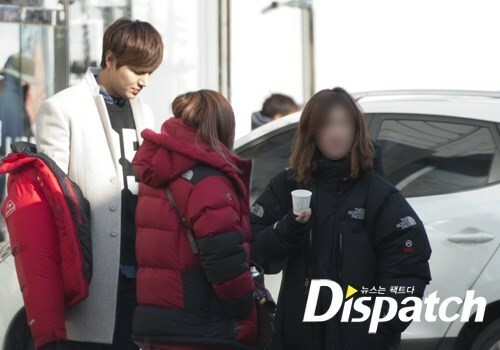 He is fascinating female viewers as Kim Tan on SBS-TV ‘The Heirs’. His incredibly handsome face and long legs are appearing on TV. On November 28, Lee Min-ho once again charmed female viewers with a scene where he gave a back hug to Cha Eun-sang (Park Shin-hye). 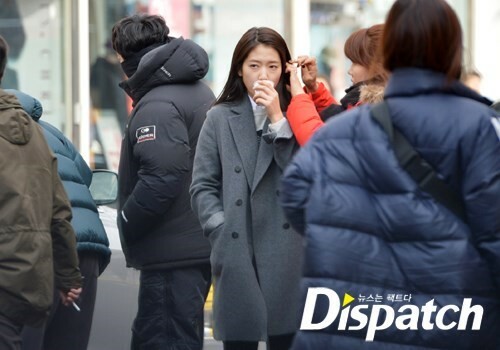 Many female viewers must have identified themselves with Cha Eun-sang. How did the sweet scene come out? 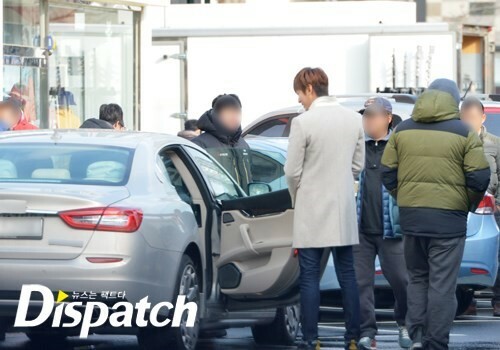 On November 27, Lee Min-ho was spotted in Ilsan where ‘The Heirs’ was being shot. He absolutely stood out among dozens of staff members. We could not help but turn our camera toward him. Those who were near the shooting site hit a jackpot. They forgot about shopping and fell in love with Lee Min-ho. 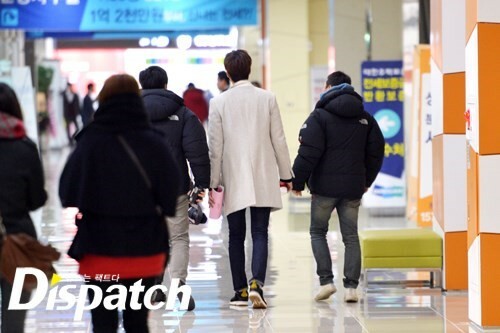 They seemed to be amazed by Lee Min-ho’s handsome visual and long legs. They were busy taking pictures of him in the middle of eating. The nearby stores were having business paralysis. The clerks stopped working and got carried away. 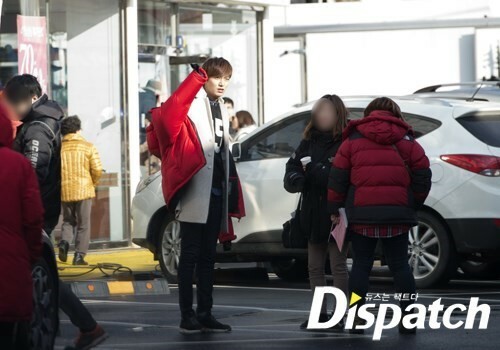 People shouted, “That is Kim Tan” or “Lee Min-ho is here.” They happily clapped their hands as if they hit a jackpot. They showed the high popularity of Lee Min-ho. 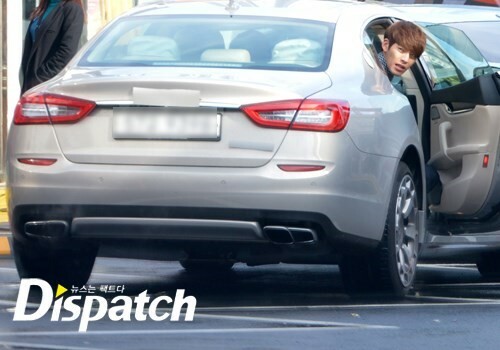 It is said that top stars do not get off their van until a shooting site is fully set. Lee Min-ho was an exception. 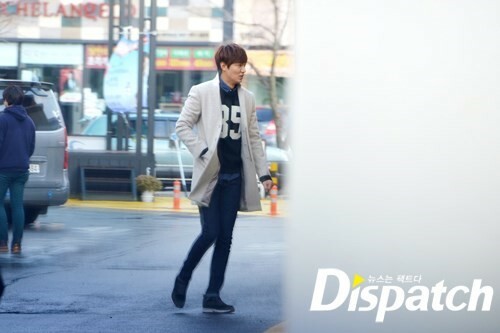 He was waiting outside despite the freezing cold weather. He said hello to staff members and chatted with them. There is more. He moved around the shooting site and then stopped in front of a car. He said hello to someone and had a talk with the person for a while. Is it Cha Eun-sang? Or Hyo-shin? It was the arch enermy Yeong-doh. They forgot about charisma for a while. He was smiling all the time without thinking about separation with Cha Eun-sang. It was an innocent smile rarely seen in dramas these days. The child-like smile reminds us of his nickname ‘Binggu Tan’. 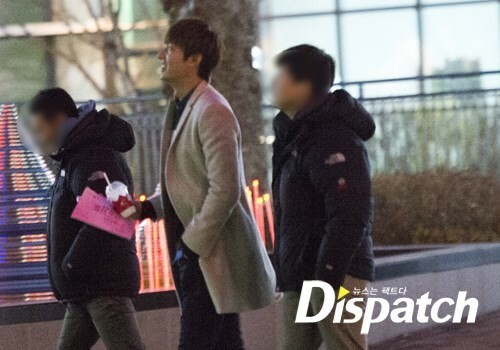 Lee Min-ho shot a scene where he bought couple sneakers with Park Shin-hye. He surprisingly gave her a back hug, which is a dream of women in Korea. Fortunately (? ), the back hug scene required only two shootings. He should have the new nick name ‘Hug Tan’ since he is good at hugging. Shall we see the back hug scene again? The next scene was shot at a café in Ilsan. 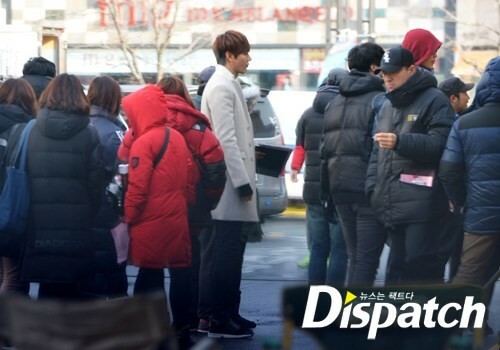 Tan and Eun-sang showed off their couple sneakers in a café. The long hours of shooting must have tired him, but he was smiling. He cheerfully walked into the cafe. 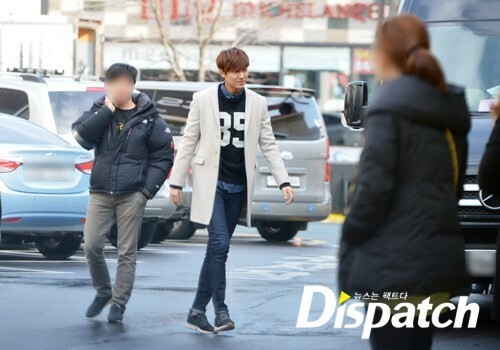 ‘The Heirs’ is recording the highest viewership rating among other competitors aired on Wednesdays and Thursdays. One of the major contributors is absolutely Lee Min-ho. 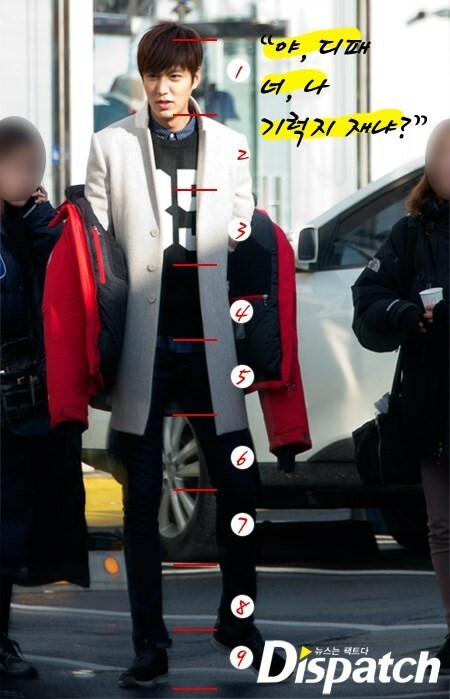 He is enthralling female viewers as Kim Tan. He is receiving positive reviews with his excellent acting as well as a great visual. 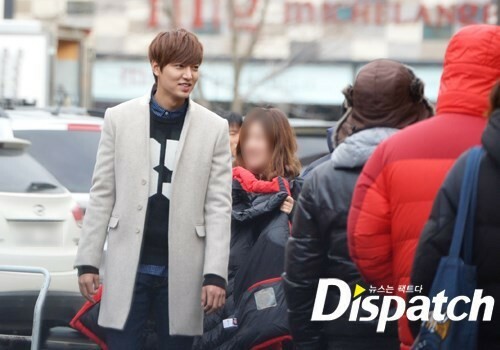 The drama was an opportunity to show another potential of Lee Min-ho. On a recent episode of FNC Entertainment’s reality showCheongdam-dong 111, CNBLUE drummer and vocalist Kang Min Hyuk discussed his feelings about filming the hit drama Heirs. Kang Min Hyuk stars opposite f(x)’s Krystal, with their chemistry making Chan Young and Bo Na one of the cutest couples in K-drama history. On Cheongdam-dong 111, Kang Min Hyuk spoke with FNC Entertainment CEO Han Sung Ho who commented on how pretty Krystal is. Kang Min Hyuk responded, “She’s so cute in what she does when I’m acting, I naturally laugh”. SBS’ Heirs is not Kang Min Hyuk’s first Korean drama role. Prior to Heirs, he received warm reception from audiences for his portrayal of Yeo Joo Hee in the 2011 dramaHeartstrings. In Heartstrings, he acted opposite CNBLUE frontman Jung Yonghwa and Heirs leading lady Park Shin Hye. Although, Krystal had acted in popular dramas such as High Kick: Revenge of the Shortlegged, her portrayal of the pouty Lee Bo Na has warmed the hearts of drama fans. Cheongdam-dong 111 provides fans of FNC artists such as CNBLUE and FTISLAND an opportunity to get an inside look at the artists. In addition to Kang Min Hyuk’s confession about Krystal’s cute personality nature, the first episode of the reality show featured FTIsland’s Lee Hong Ki admitting to having been a relationship when he thought the cameras were not rolling. The CEO of FNC Entertainment is portrayed in a very humorous light on the program, as well. Cheongdam-dong 111 premiered on November 21st, with the most recent episode airing on November 28th on tvN. Subtitled by DramaFever, but free. HD. Terms don’t allow to post links but you can find it on http://ohdownloadtube.blogspot.com/. It’s a fascinating site! you can visit DramaGo.com or GoodDrama.net and some other sites, but most of them don’t feature HD.